Acquiring master franchise operation in Indonesia; co-operation agreement in Thailand. Diversification from Singapore market a positive move. Maintain HOLD; Target Price: S$0.56. Deepens presence in Southeast Asia – acquiring master franchise operation in Indonesia; co-operation agreement in Thailand. APAC REALTY LIMITED (SGX:CLN) intends to deepen its presence in Southeast Asia with strategic moves in Indonesia and Thailand. For Indonesia, it is acquiring the Indonesia country master franchise operations from its current shareholders. In Thailand, it is entering into a strategic cooperation agreement with the current CEO and Managing Director of Thailand master franchise operations, Mr. Voradet Sivatachanon, to collaborate on the growth and development of the real estate brokerage and franchise in Thailand. To recap, APAC Realty owns the exclusive ERA regional master franchise rights for 17 countries in the Asia-Pacific region. One of the largest brokerage agencies with about 10% market share. ERA Indonesia has been in operation since 1992 with more than 6,900 agents across its 103 offices. It is one of the largest brokerage agencies in Indonesia with a market share of about 10% of the secondary property market. APAC Realty sees strong business growth and value creation opportunities in Indonesia. Currently, APAC Realty only books in royalty fees from Indonesia. Net profit for FY Dec17 was about S$0.44m while book value was about S$0.85m. ERA Indonesia has since entered into project marketing, working with leading developers, including Intiland in Indonesia. ERA Indonesia has also been appointed by Intiland as one of its lead agencies for its future projects. Acquisition PE multiple to be much lower based on FY18 earnings. The total purchase consideration for ERA Indonesia, (including 4,664 sqft of office space in Central Jakarta) of up to S$13.85m comprises a convertible loan of S$4.42m and loan of S$9.43m. This works out to a PE multiple of about 31x, which is relatively high. However, if we exclude the convertible loan of S$4.42m that is mainly for working capital purposes, and also the office space, PE works out to about 20x FY17 earnings. FY18 multiple is expected to be much lower with contribution from project sales. With this acquisition, APAC Realty can directly access the Indonesian residential real estate market, which is expected to recover and pick up pace in the next two years. Furthermore, APAC Realty is also exploring the eventual listing of ERA Indonesia on the local stock exchange, while retaining the major ownership post listing. Refer to the PDF report attached for ERA Indonesia – Corporate Structure. Owns one of the largest home sales networks in Thailand. ERA Thailand has been in operation since June 1993 with more than 400 agents. It has one of the largest home sales networks in Thailand, with about 1,000 transactions per annum. APAC Realty would extend a loan of US$1m (S$1.38m) to ERA Thailand. Under the agreement, APAC Realty and Mr. Voradet Sivatachanon would incorporate two new companies, APAC Holding (Thailand) and ERA Thailand, to hold the ERA master franchise rights for Thailand. The direct ownership of the Thailand franchise will enable APAC Realty to be more strategically involved in developing ERA’s business in Thailand. We view the latest diversification positively as currently, more than 90% of APAC Realty's earnings come from the Singapore market. In recent years, APAC Realty has been diversifying its operations. 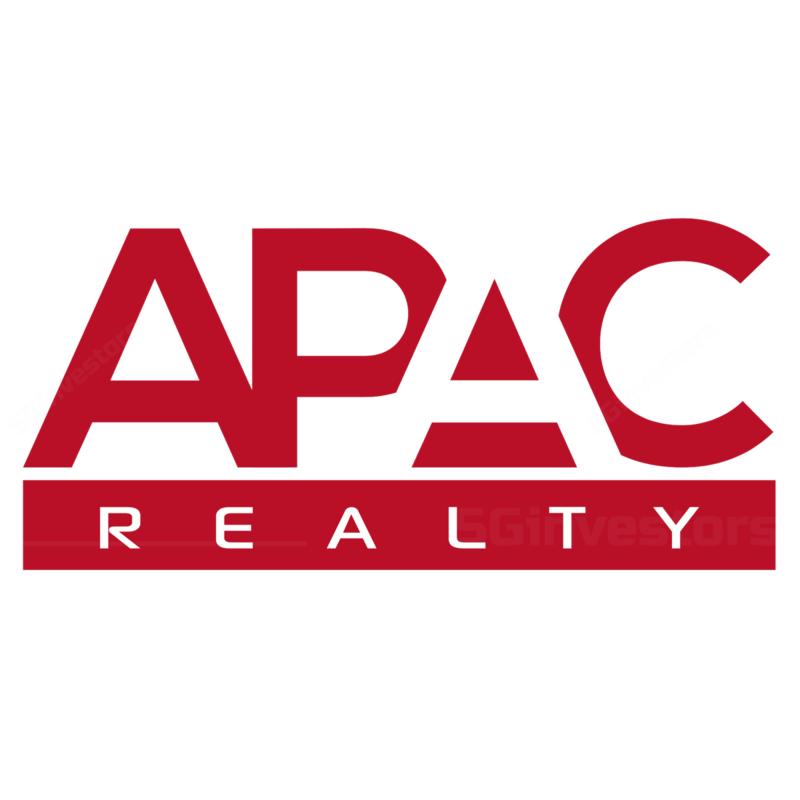 In mid-2017, APAC Realty established a new franchise in Vietnam, followed by Cambodia in February 2018. ERA Vietnam, in particular, has grown rapidly since inception with over 1,300 sales agents today. Outside of Southeast Asia, China has also been a key market for APAC Realty’s growth plans. In August 2018, APAC Realty entered into a joint-venture agreement with two Chinese companies – Zhong Zhi Sheng He Real Estate Investment Consulting Co. and Bei Guo Tou (Shanghai) Equity Investment and Fund Management Co. to tap into the robust property market of Hainan province. We maintain our earnings forecast as there is no immediate impact on earnings. Furthermore, contributions from ERA Indonesia (net profit of S$0.44m in FY17; FY18 higher with project sales) and ERA Thailand are still relatively small, as compared to the Singapore operations. Maintain HOLD, Target Price: S$0.56. APAC Realty's FY18 results are expected to be released on 28 February 2019 after market close.